Mercyflawless Blog: Lagos University Teaching Hospital 2018/2019 School Of Nursing Admission Form On Sale. Lagos University Teaching Hospital 2018/2019 School Of Nursing Admission Form On Sale. 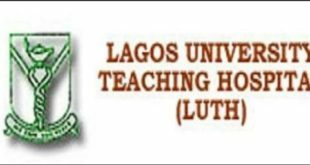 The management of Lagos State University Teaching Hospital (LUTH) School of Nursing is inviting applications from suitably qualified candidates for admission into her Nursing programmes for the 2018/2019 academic session. Application closing date is Friday 1st of June 2018 and the first phase of Entrance Exam is on the 9th of June 2018.